Admire the beauty of our stunningly detailed precision laser cut wedding stationary. With the use of revolutionary and leading edge technology, we pride ourselves on bringing you the sharpest and most sophisticated of designs. 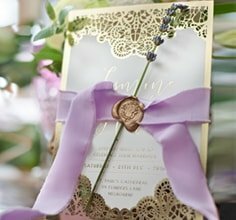 The invitations are a favourite amongst couples who wish to announce their wedding with a real standout, statement piece whilst keeping it beautifully romantic and elegant. The range seamlessly blends spectacular aesthetics with modern technology for a show stopping look. Our designs mirror lace and doily patterns to bring life to floral and Victorian-esque shapes that have extremely crisp cuts and are intricately detailed. You can just tell that the Giant team have made these with pure love and care. Laser cut paper is becoming a fast trend for our beloved brides in Australia as we believe in pairing quality craftsmanship with modern techniques to deliver the most superb wedding cards. For the couple after something custom, cheap but nonetheless charming, pick your favourite from this collection of ours. The superior finish of our premium precision cut invitation cards effortlessly exudes utter class and charisma.